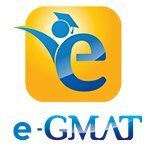 Hello Fellow GMAT Peers and Thanks in advance for any advice you guys give on my post. I am a 29 Year old Operations Guy from India and my undergraduate major was mechanical engineering from University of Pune. I have a CGPA of 6.73/10. I am in a big conflict over the advantage of an MBA at this time in my career. I have been working in my family business of manufacturing of engineering goods for the past 7 years and have been solely handling one of our manufacturing facilities for the past 4 years now. Our net turnover is around USD 2Million and the manufacturing facility I run contributes roughly 30% to this figure. My expertise has been design, operations and supply chain and I have worked on various projects for engineering bigwigs such as L&T, BHEL, NTPC, NHPC and others. My motivation for GMAT and MBA is a corporate job as operations head at one of the top 100 manufacturing/service companies globally. My remuneration inclusive of bonuses, profits and salary amount to USD 20000 annually. Am I too late to make the jump into the corporate sector or is there a fair chance for me if I score 700+? 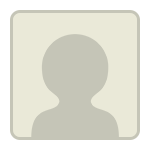 puneetj88 - Your profile seems good. Can you mention some achievements during this time? That would help determine how good your essays would be and correspondingly your chances of getting admitted to a business school. You are definitely not too late.